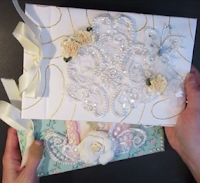 In this tutorial, I will show you step by step how to construct an easy-to-make guestbook for a wedding or other special occasion. This tutorial follows the same format as the tutorials in my Etsy shop, where I include both video AND written instructions. The video shows how to construct the project from start to finish. The written instructions include a list of supplies needed, cutting dimensions, and detailed a instructions with photographs for each step. 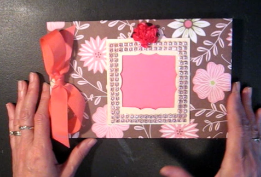 To complete this project, DOWNLOAD the written instructions and cut the pieces you will need to construct the guestbook.